The City of Raleigh Arts Commission has partnered with the students and staff of the NC State College of Design, Advanced Media Lab to create a mobile media showcase of 12 public artworks in the City’s public art collection. The Q-Art Code project will allow the City to raise the public’s awareness about the impact of public art and its cultural contributions to the City of Raleigh. 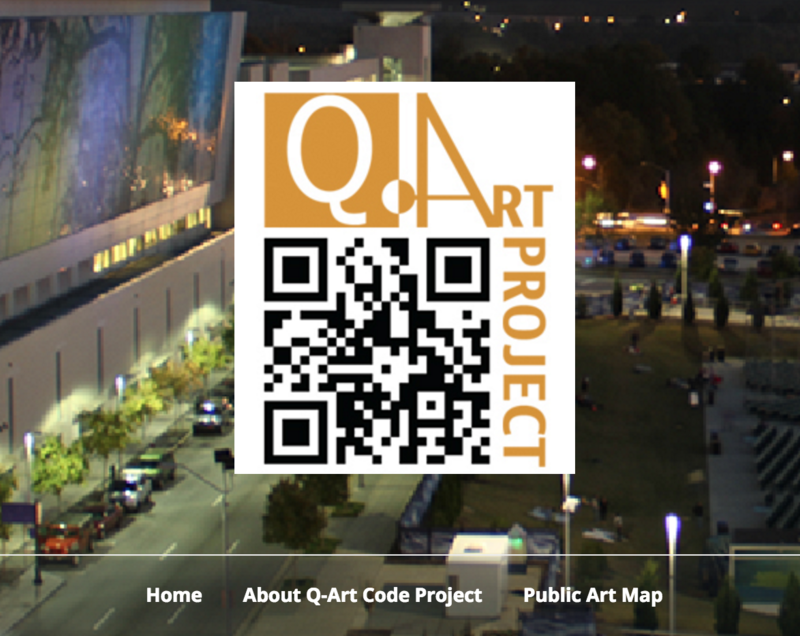 The official launch and celebration of the Q-Art Code Project took place in March at CAM Raleigh. Mayor Nancy McFarlane spoke about the value of public art in Raleigh and how the project will enable access to information about artworks in the City’s collection. In attendance were participating artists along with students from NC State University’s Advanced Media Lab who spent their Fall 2012 semester researching and interviewing the artists about their sculptures. QR Codes and descriptions are placed at the location of each of the sculptures. Viewers can simply take a picture of the code with their smartphone (and QRcode app) to see a short video/animation that helps explain the artwork, the artist and its historical context. Additionally, the viewer can navigate a map to discover other participating public artworks, or share and view comments on the piece. Abbe Godwin, Martin Luther King, Jr.